I’ve written posts before about how to save money on produce and healthy foods, and how it can be REALLY hard. There are coupons out there from time to time especially with e-coupons and savings apps like Checkout 51, Ibotta and SavingStar. But now that there’s more and more concern about buying organic, the costs jump yet again. 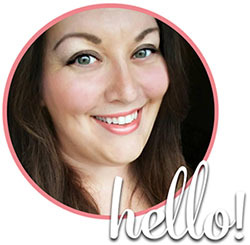 So how can you feed your family fresh, safe, clean food without breaking the bank? There’s a few ways you can do this. Ideally, you would grow all your own fruits and veggies. I know, I know, most people don’t have the time or space for this, but in a perfect world, you would know EXACTLY where your food comes from and EXACTLY what is sprayed on it (preferably nothing!). We’re attempting a garden this year, and I plan to have 20 different fruits and vegetables growing. It’s a bit of a challenge for me, since we rent, and therefore our garden needs to be mobile so it can move with us. I’ll post more on that later, but I will be attempting Square Foot Gardening in movable 1 foot square containers. It’s a lot of work, but the benefit outweighs the hassle for me. A packet of organic seeds ranges anywhere from $1.50-$3.00, and will yield up to a couple hundred pounds of produce depending on the variety. It’s really the absolute cheapest way to do things. If you’re already buying organic produce, you can save your seeds and avoid the initial start-up cost altogether! If you are able, this is the best route not only for saving money, but for making sure you have the purest food possible for your family. If you have kids, you can get them in on the garden as well! Find age-appropriate tasks for each child. It teaches them responsibility (personal AND environmental), about where their food comes from and how it grows and about the value of money and hard work. Now, if that’s not possible for you, most of us would agree the next-healthiest thing to growing your own is buying organic. If you’ve looked at the prices though, sometimes organic food can be WAY more expensive than it’s conventional counterparts. So how can a family on a tight budget eat organic produce? Easy! You don’t have to buy EVERYTHING organic to reap the benefits. Studies have shown that certain foods contain much higher levels of pesticides than others. The ones that have little-to-no pesticides can be bought conventionally if needed to help stick to the budget. The ones that tend to have high levels of pesticides should be traded for organic. This way, you can eliminate at least the majority of pesticides from your family’s produce, and still spend less than purchasing all of your produce organic. So which produce can be bought conventionally and which should be organic? 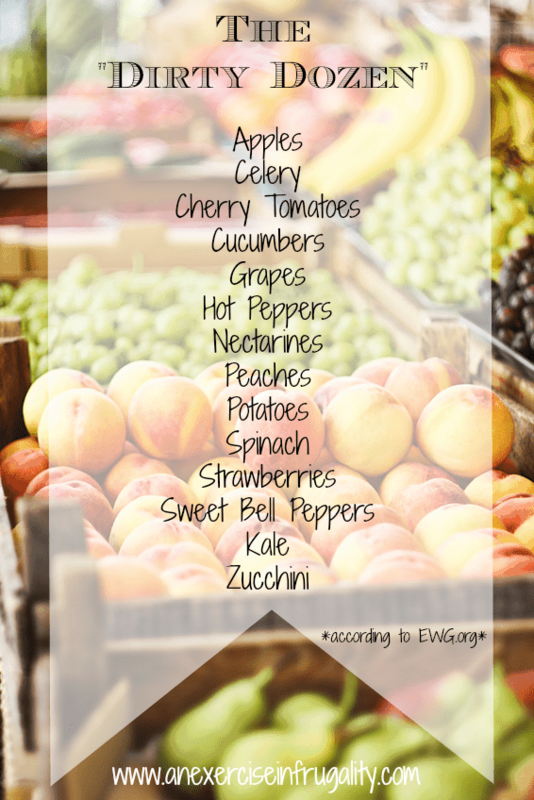 The Environmental Working Group or EWG has a list of the “Dirty Dozen” and “Clean Fifteen” fruits and vegetables. 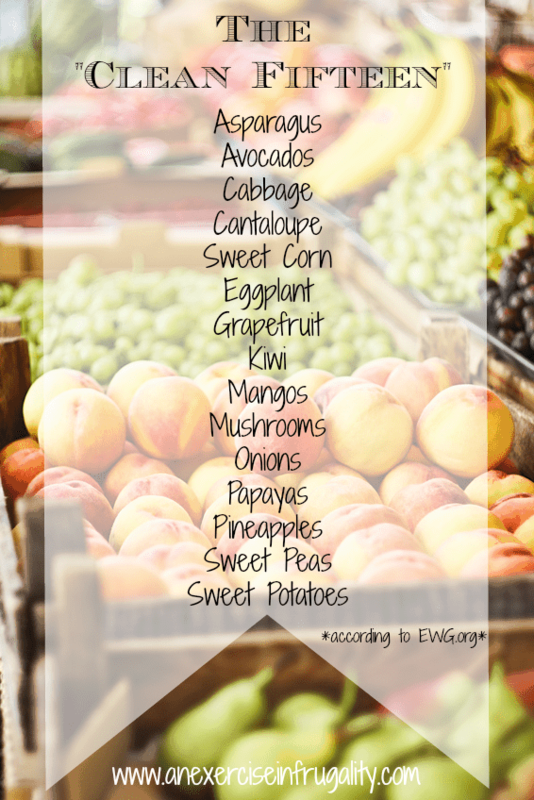 The Dirty Dozen are produce that have been found to have the highest levels of chemicals and pesticides. You should aim to purchase these items organically, or grow them organically at home. The Clean Fifteen contain less chemicals, and if you must, you could purchase these conventionally and just rinse thoroughly. Here’s some images to help you remember which items are “clean” and which are “dirty”. If you’re having trouble remembering which items are on which list, consider this: GENERALLY speaking, produce where the skin is consumed should be considered “dirty” and purchased or grown organically and produce where the skin is discarded is usually “clean”. This is not ALWAYS the case, but a general guideline to help you remember. You’ll notice that many of the “Dirty Dozen” are fruits and veggies that are easy to grow at home like Bell Peppers, Potatoes, Cucumbers and Zucchini. It would be so easy to start with just a couple of these and see how it makes a difference in your budget and the quality of food! Give it a try and let us know how your budget works out! Growing your own is a super easy way to save money on produce. 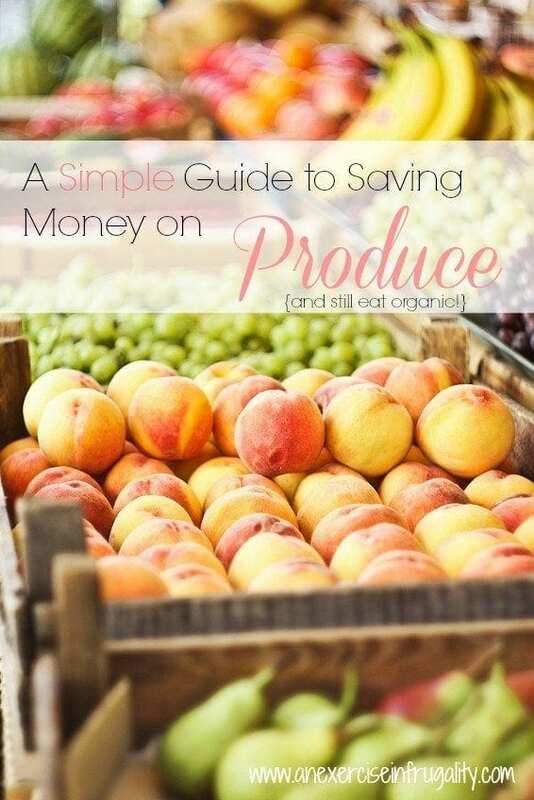 How do you save money on produce?